Shortly after arriving to the Gimnasio de Bachilleres, a high school sports complex turned into a migrant shelter in Juárez, we met two families who had just walked in after making their way from Cuba to seek asylum in the U.S. They were turned away from another migrant shelter in the border city that was overcapacity. After spending time with them, I took a break and sat in the shade outside of the gym. Roberto Manuel Diaz walked up and asked to sit next to me and we started talking. 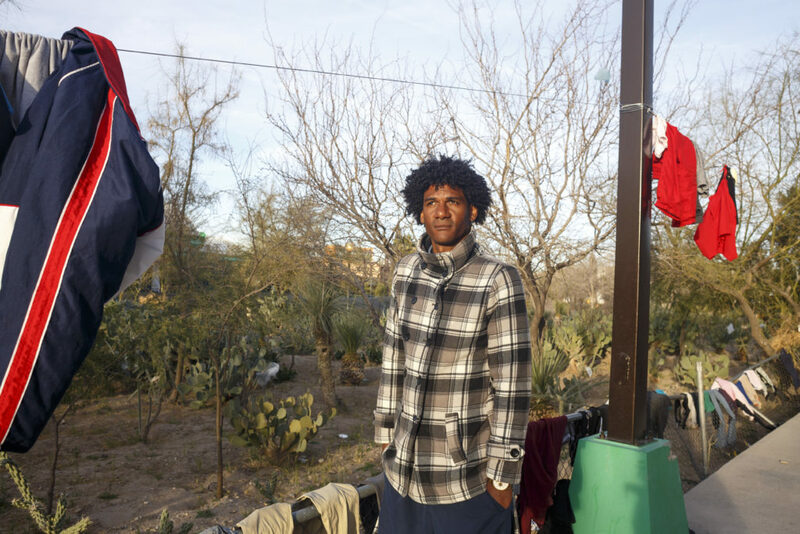 Roberto left Cuba 2 1/2 years before arriving at the shelter on Feb. 21 in Juárez. When he arrived to the city, he was given a number in line to be able to seek asylum in the U.S. He knew he would have to wait weeks, maybe months for his chance to speak his case. 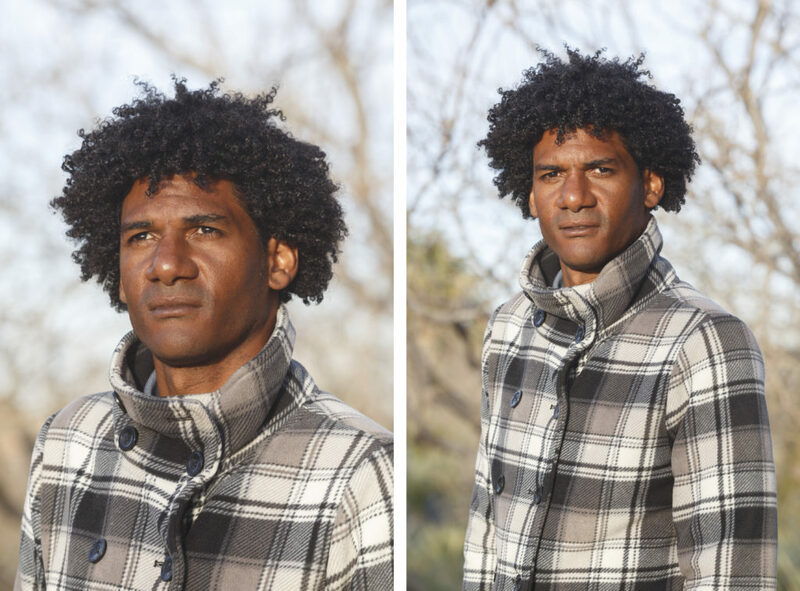 Roberto, 40, left Cuba because he feared for his life due to his political views. He compared the U.S. and Cuba as both being places where people from different countries travel to. Roberto has family in Miami and looks forward to seeing them. We spoke for a while before we both decided we needed to go. Later that week I met with Roberto again. He was seated at a table full of people playing Monopoly. The sun was setting and the temperature was dipping. Nearby, there was a group of Cubans playing baseball with a bottle cap and a broom stick. I asked Roberto if I could make his photograph and he agreed. We exchanged email addresses so I can send him these images and then said our goodbyes.